Intro to Leather Craft- Make your own Belt! Come learn a new skill (or refine an old one) and create your own leather belt that you will wear for years! You will learn what it takes to craft a unique design and create a belt that is perfectly tailored to your own needs. In this five hour workshop you will learn how to stamp, dye and assemble a leather belt to take home with you. Winning! If you have been interested in learning about the process of designing and making your own unique leather pieces this workshop will give you the skills to get you started creating! Snacks and nibbles to keep you sustained throughout the class. Buckles are provided however if you have one you would like to use feel free to bring it along! 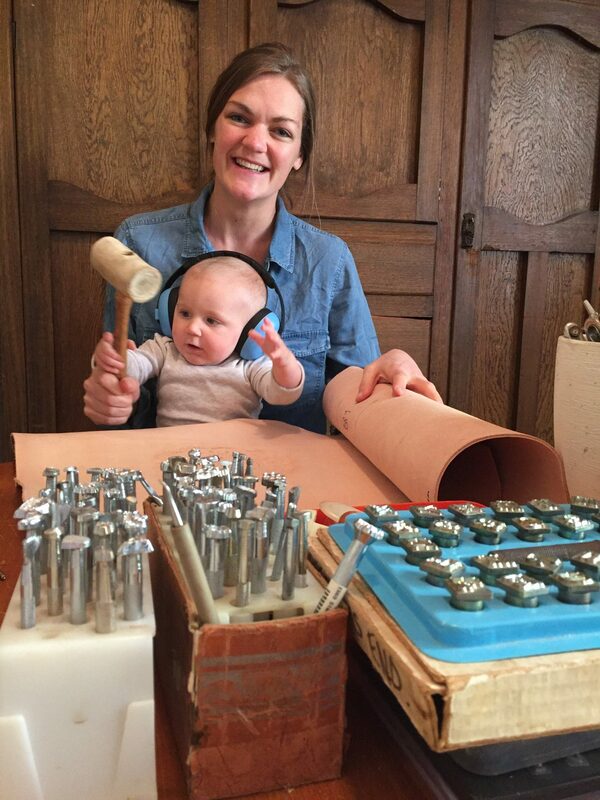 Beth has been stamping leather since she was old enough to use a hammer, and first came into contact to the craft when her dad introduced at a young age. Her love of art and creating hand-made things inspired her to continue practicing, experimenting and with the lessons learnt from her dad her passion and skill grew with the years. In 2014 she started her own business creating custom stamped leather pieces as well as teaching workshops so that others can also experience the fun of stamping leather and creating their own personalised pieces.